Commercial doors have one of the most critical functions in the operation of your business building. These commercial doors experience frequent foot traffic and provide entry to important goods or services for sale. In addition, interior doors often serve as an important partition between patrons and personnel, help with display of items for sale, and exterior doors can provide security for businesses. A well-installed commercial door can perform these important functions and help your business outshine the competition. However, a poorly installed or damaged door can have detrimental effects on the success of your business. To ensure the quality of a great exterior or interior door, contact our commercial door install & repair Manhattan service at (212) 860-5477 for a free consultation. Installation of commercial doors can show customers that you take pride in your business. High Gate Doors can provide new installation of exterior commercial doors such as steel doors, glass doors, and other attractive entry doors. The investment in commercial doors can provide an immediate upgrade to your business location. For example, steel doors offer a sleek and modern look while providing solid protection against intruders. 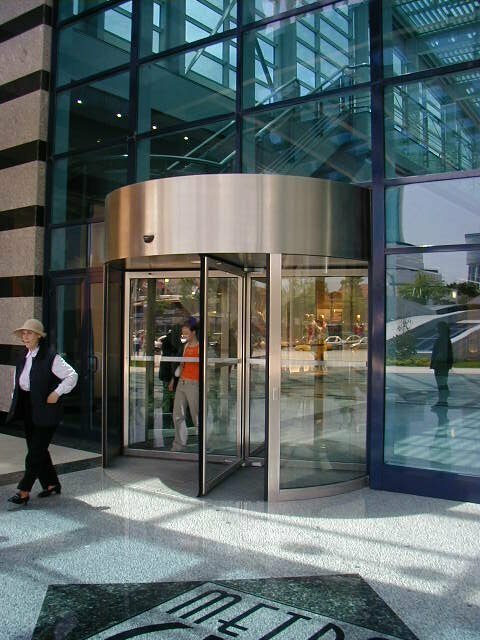 Your employees can also feel a sense of security with the implementation of modern steel doors. Glass doors provide excellent display of merchandise and can entice customers to enter your building. These exterior doors can also give your business a confident appearance, and our contractors can also perform door glass replacement to fix issues on existing glass display windows or doors. For more information on the commercial door install & repair Manhattan business owners use, call us at (212) 860-5477 for a free quote. In addition to exterior doors, our licensed and insured installers also work with commercial interior doors. While some business owners neglect the importance of interior doors, it is important to schedule proper installation and maintenance of all of these entryways to protect your business. For example, you may wish to repair locks on office doors, partition doors, or hollow metal doors for employee privacy and business record protection. Professional door installation can fix problems with noise infiltration that affect worker productivity and shopper experience. If you operate a retail or clothing business, High Gate Doors can provide fitting room or dress room installation and repair. 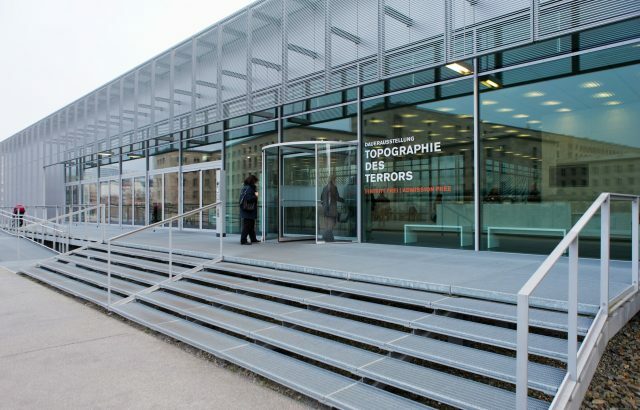 Even high-tech scenarios such as automatic doors or revolving doors pose no problem for our certified experts. Our contractors are trained to work with electronic and mechanical issues that may arise with these technologically advanced doors. To take advantage of the commercial door install & repair Manhattan businesses use, contact (212) 860-5477 for an evaluation. Besides looks and functionality, commercial doors play a paramount role in the security of your business. Because commercial doors are the primary entryway for customers and clients, it is usually necessary to keep your store doors accessible to the public. However, accessibility may often increase the risk of unwanted intruders. Fortunately, our commercial door install & repair Manhattan service can perform a security audit as well as hardware installation for your business. Our door contractors also work with a huge variety of high-security and protective doors to suit your business needs. Depending on your business type, some of the security doors we install include fire doors, security grilles, armour doors, and Louvred or shuttered doors. We can also install master lock systems, electronic entry keys and codes, or high security doors with corresponding alarms. In addition, our installers can work on custom projects such as a window gate for your business. To schedule any of these services, call High Gate Doors at (212) 860-5477. Working with experts for new installation of commercial doors for your business can help prevent problems down the line. Even if your business has already experienced an unfortunate security breach, our door contractors can help you adopt measures to protect your business against further intrusion. For immediate assessment, we can provide emergency board ups and a review of which exterior and interior doors work best with your business entity. Furthermore, we can schedule a time convenient for you to install or repair your doors. Our service is BBB accredited with an A+ rating, and we use state-of-the-art equipment to ensure quality of work. In addition, we also provide a warranty on our services. Contact (212) 860-5477 to discuss the best options for your business.